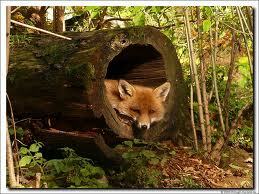 fleet street fox: Foxy is on holiday. I'M taking a couple of weeks off to relax and try to knock my rather messy manuscript into something people might actually want to read. There's no internet access, mobile signal or social media here, so paws crossed I don't get distracted by a passing badger or something. See you all in a fortnight and behave yourselves while I'm gone.